At a meeting of the Somerset Territorial Force Association held at the Guildhall, Bath, in February 1912 it was reported that the Committee "had approved in principle the purchase of a site for the erection of a Drill Hall at Yeovil for the local company of the 5th Somerset; plans had been prepared and forwarded to the Army Council." The War Office was, at the time, making generous building grants for drill halls and miniature rifle ranges to be built in several towns across Somerset, including Yeovil. 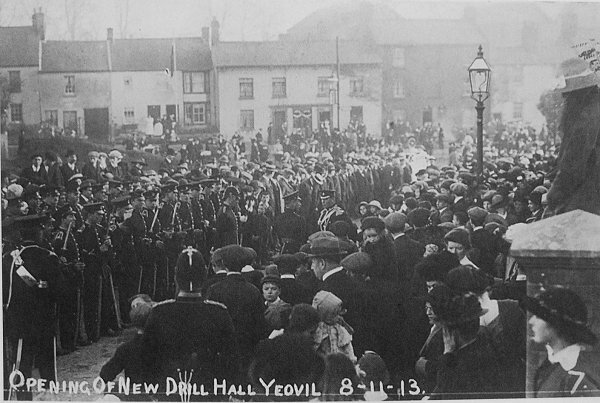 The new Drill Hall, built in Southville, was officially opened on 8 November 1913. The Drill Hall included a rifle range, 90 feet (27.4m) long, officers' and NCO's rooms and men's recreation rooms. The hall was opened by an array of military and local dignitaries, including the Mayor Norman Buchanan. The Mayoress (Mrs Buchanan) presented a flag to the Company when the Drill Hall was opened. 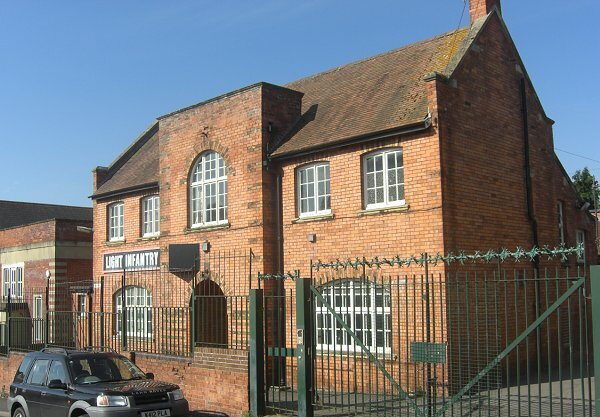 During the Second World War the Company Reserve of the Home Guard, comprising No 1 Platoon under the command of Platoon Commander MD Stirling, together with part of the Machine Gun Section comprising four Lewis Gun teams, together with the Company Quartermaster Sergeant and his staff were stationed at the Drill Hall in Southville. In 1947 an ex-Service men's club opened at the Drill Hall. In 1959 the Somerset Light Infantry was amalgamated with the Duke of Cornwall Light Infantry to form the Somerset and Cornwall Light Infantry. 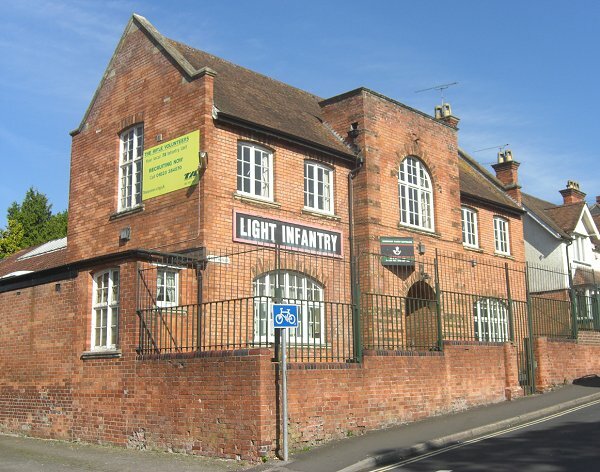 The county's Territorial Army alone kept the name of the Somerset Light Infantry. In 196 all the Light Infantry regiments were amalgamated to form The Light Infantry. 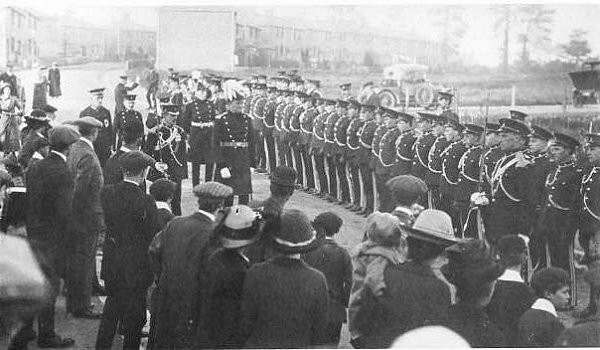 This photograph shows the ceremony of opening the new Drill Hall in Southville on 8 November 1913 photographed from Southville looking across to Reckleford. This, and the following, are the only photographs I know of that show the houses on the south side of Reckleford seen here in the background. 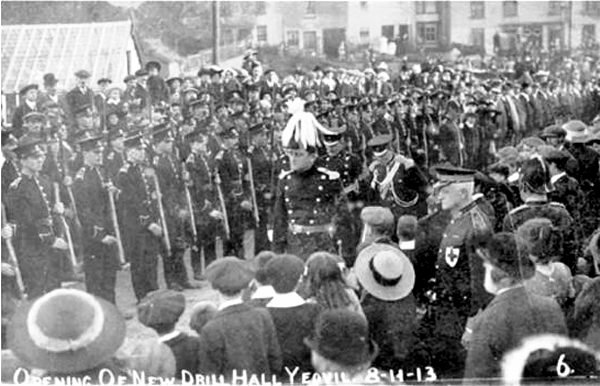 The official opening of the new Drill Hall on 8 November 1913. The new Drill Hall is off-photo to the right. The troops are inspected in photograph of the series which looks north along Southville - note the fields off to the right. 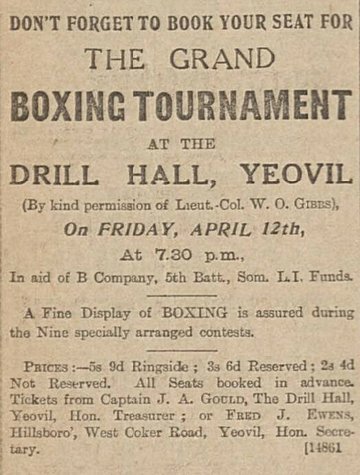 After the Great War boxing events were regularly staged at the Drill Hall; initially these were military boxing events but by the 1920s public boxing events were held as seen in this advertisement from the 5 April 1929 edition of the Western Gazette. 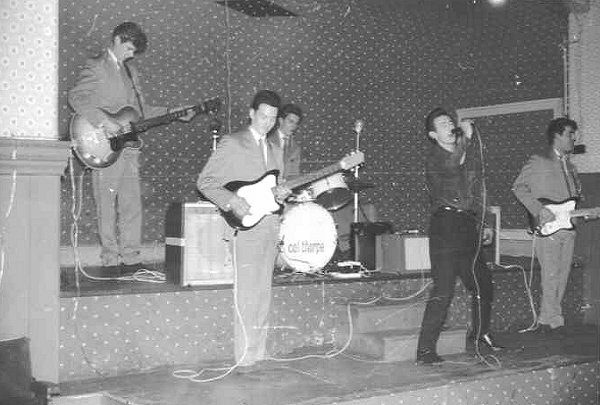 Another non-military event held at the Drill Hall - Bournemouth-based 'Johnny King and The Raiders' perform in the hall around 1960. The band, apparently, "used to accompany the fighting between the town boys and the squaddies." The Drill Hall, Southville, seen from the southeast. Photographed in 2014. .... and seen from the northeast. Photographed in 2014. 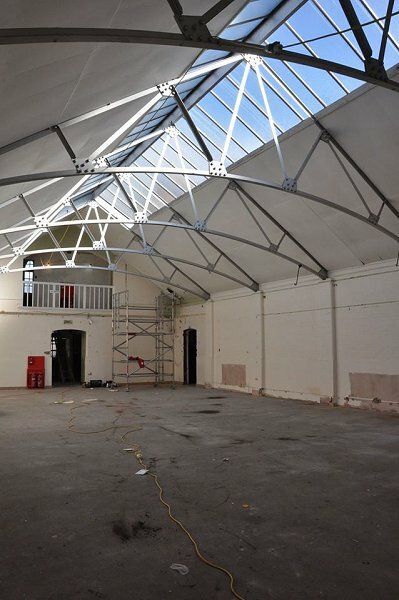 The main hall of the drill hall, photographed in 2016. Jon England is an artist based near Taunton and one of four artists to have been awarded a micro-residency at the Eastville Project Space at the former W Tavener & Son glove factory. Jon has used his 2016 residency at Eastville to further his investigation of the legacy of global conflict within local communities. 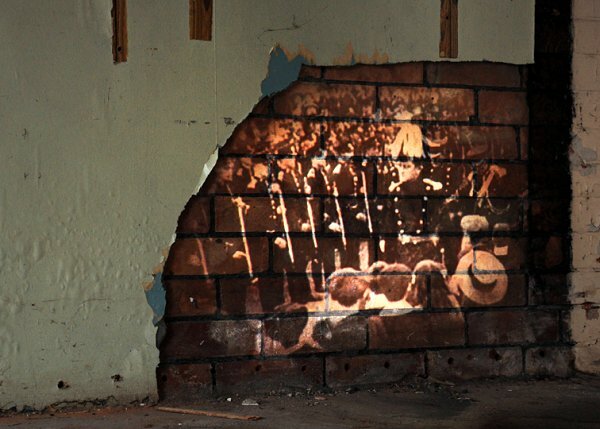 Jon's work predominantly explores the architectural and social dynamics of these legacies whilst employing experimental materials and processes to create physical and resonant connections to the histories investigated. 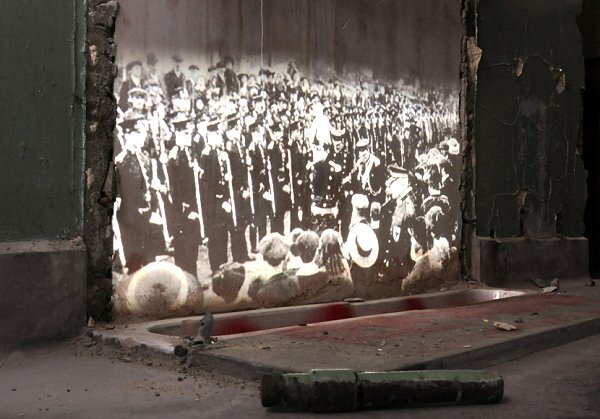 Below are two of Jon's works featuring the Drill Hall fabric combined with an image taken at the time of the official opening.